At its inception, Charleston-based Garden & Gun could have been a regional magazine. Its founders instead decided to make the pub national, but with a decidedly Southern voice and focus. 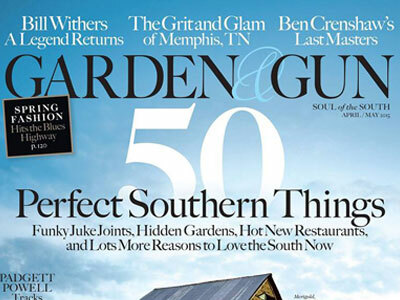 As a result, Garden & Gun attracts readers across the country, from Southern expats to those fascinated with Southern culture. Editors advise freelancers to pay attention to the pillars of the magazine: outdoor lifestyle, boating, fishing and hunting; conservation and gardens; Southern food culture, chefs, recipes and origins of food; destinations in the South and beyond, hidden gems, road trips, lodges and city portraits; Southern designers, homes, shopping and fashion; and art, music and literature. “That wasn’t particularly Southern, but it related to sporting… If it relates to one of our pillars, then even if it’s not in the South, it might be something our readers would be interested in,” explained Mezz.